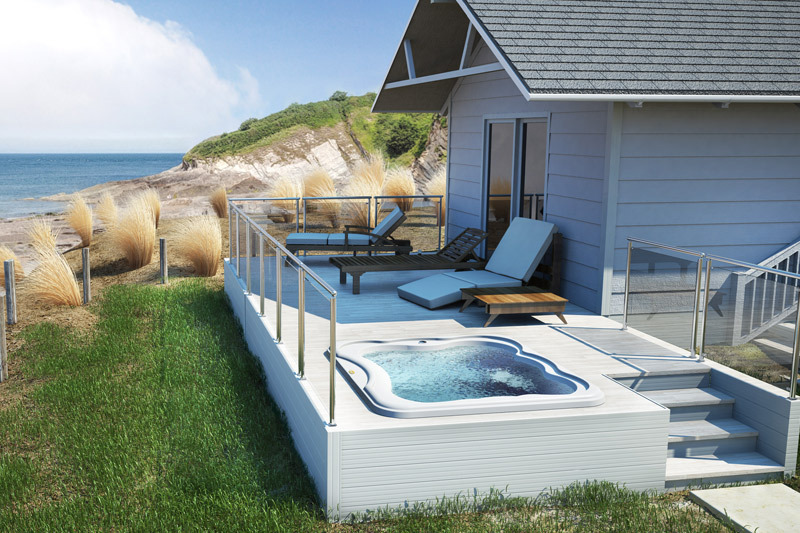 At Hydrolife, we aim to break the mould in all aspects of the hot-tub industry. Our number one priority is listening to our customers and delivering an unparalleled level of service, both before and after becoming a hot-tub owner. What better way to deliver great service than to solely represent the number 1 hot tub brand in the world – Jacuzzi. Jacuzzi are the only partner for us sharing the same fantastic values we do. 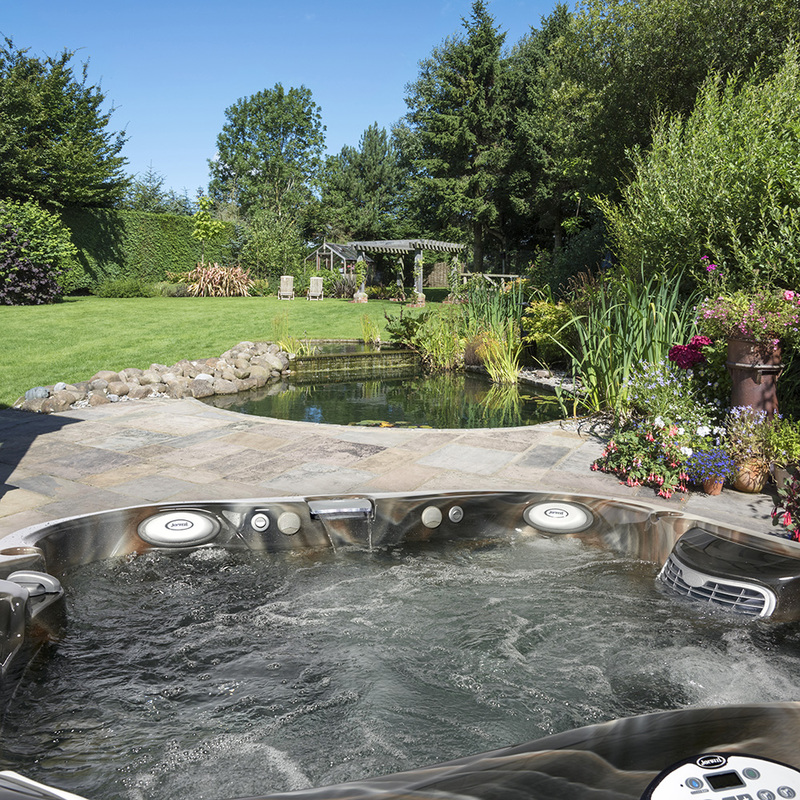 We are proud to have three fantastic showrooms across the UK giving you a relaxed, friendly and informative environment to see, touch, feel and even test our exclusive Jacuzzi range. Our showrooms represent the quality of all Jacuzzi hot-tubs and SwimLife Swim Spas with industry experts to guide and support your decision when choosing the right Jacuzzi or Swim Spa for you. We pride ourselves on sharing as much knowledge as we have. The beauty of the Jacuzzi Hot Tub range is simple; it’s technology, innovation and superior quality which makes them the only choice when purchasing a hot tub. Jacuzzi has a wide variety of options to tick every box and tailor to individual requirements. Whatever you want in a Hot tub Jacuzzi meet it head on with their extensive experience. Explore the ranges below and you’re guaranteed to find your hot-tub companion. A great way to narrow down your search for the perfect hot tub is to see which models our customers are buying right now. Our best sellers list shows you the most popular choices currently being sold in our showrooms. The J-335™IP, hot tub has an FX10 Therapy seat to fit every contour of the body and features 40 PowerPro® jets which deliver an effective hydromassage across the entire body with jets to target key areas including shoulders, wrists and feet. This is a great family hot tub seating 4 to 5 adults. Price is inclusive of standard delivery and installation, steps and cover lifter. 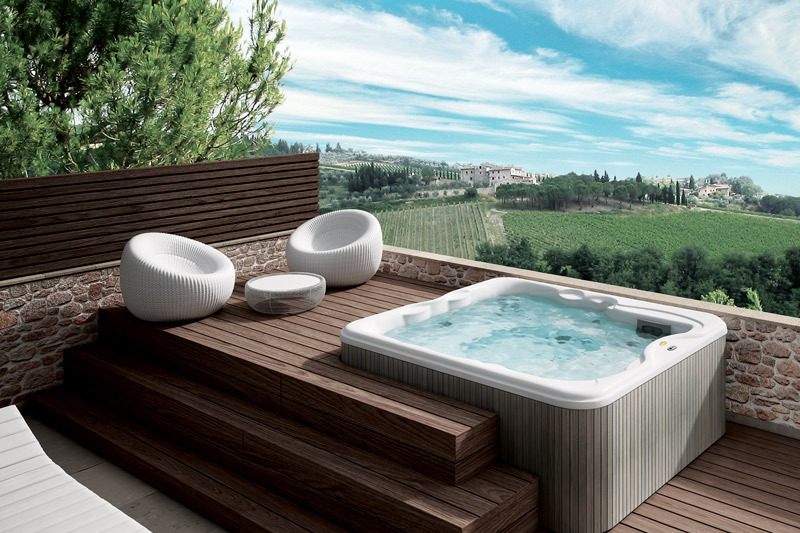 Our bestselling luxury hot tub. The WaterColourTM feature reproduces the effect of a real glistening waterfall full of light and colour. 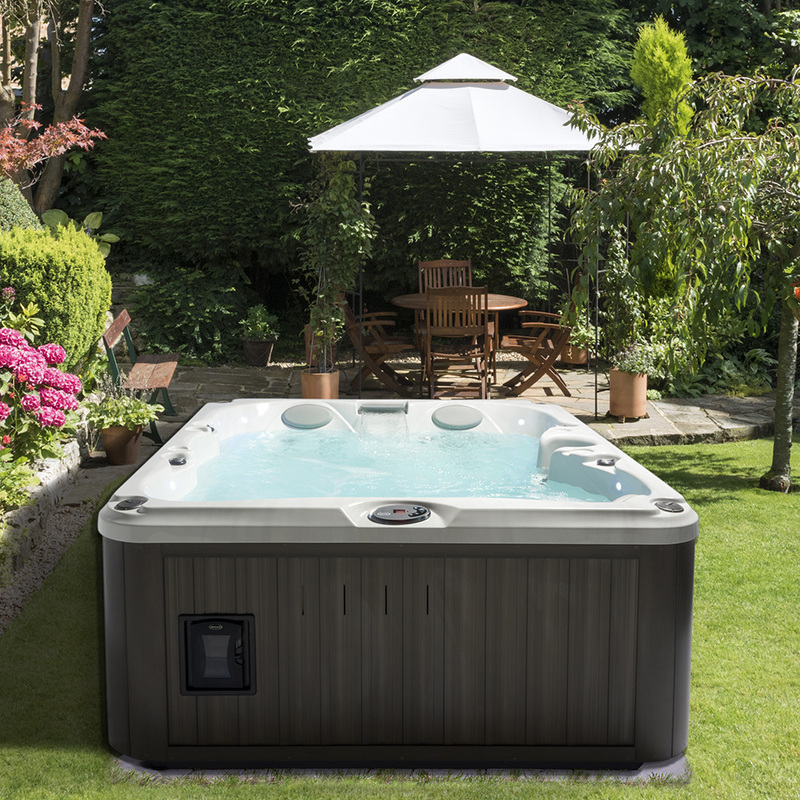 It is an absolute must with its sleek look and advanced hydrotherapy features, ready to make any garden instantly look better with its presence. Price is inclusive of standard delivery and installation, steps and cover lifter. Jacuzzi® has a strong reputation within the holiday park, hotel and spa market thanks to their exclusive commercial range. 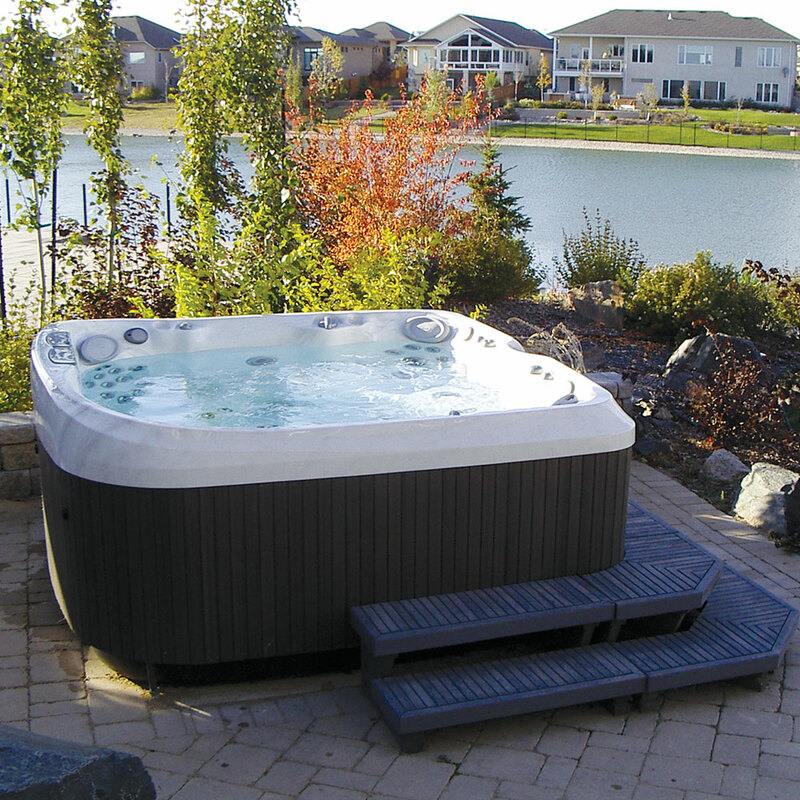 Whether you are looking for a single tub or multiple tubs just speak with our Commercial Hot Tub experts who will guide you through the process.